If you have tried the rest, then you are most definitely ready to try the best with 360 Storage Center! U-Haul trucks are first choice when it comes to renting a vehicle to transport your belongings to a storage unit. For some people, the rental process can seem scary because they have never rented a moving vehicle before. But, just like when buying a car, you want something that is affordable, reliable, and safe. 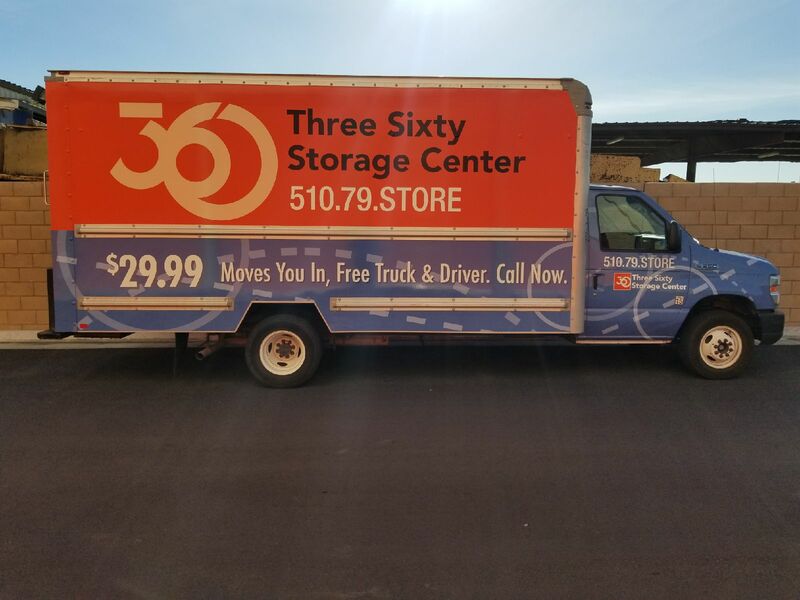 360 Storage Center offers Newark U-Haul truck rentals at affordable prices! After investing time into carefully and strategically packing your belongings, the last thing you want is for them to become damaged. It’s no fun having all your boxes packed into the vehicle, and then experience it break down halfway to the storage facility. With Newark U-Haul truck rentals there is little room for worry, And that’s because they have been successfully moving people and their belongings for many years. With a reputation to uphold, it’s important to them that their vehicles operate in top condition. There are important factors as well to renting a U-haul vehicle from a trusted storage facility, such as 360 Storage Center. One very important factor is that on average U-haul trucks are 50% easier to load. They offer easier and lower clearance than other vehicles, which allows you to easily load your items into the moving truck. Also, a wider ramp into the truck makes it less likely that your items will slip and fall during loading. If you are considering loading your rental truck with fragile or heavy items, Newark U-Haul truck rentals will be your best bet. They offer convenience and less chance of serious injury lifting heavy items. Safety is another important factor to consider in choosing Newark U-Haul Rental Trucks. An important feature offered by U-haul vehicles are high visibility mirrors. Driving a large car, truck, or van can be tricky even for those experienced with large vehicles. Backing up into a space where you can easily load and unload your items can seem almost impossible! 360 Storage Center is a facility that cares about the safety of you and your items during the moving process. Not only does 360 Storage Center offer dependable Newark U-Haul Truck Rentals, but also at affordable prices. They will even deliver a move-in truck and driver to your front door at absolutely no-cost to you! ( Keep in mind, this is valued at $175!) Plus, at 360 Storage Center we give you peace of mind with our ninety day price assurance guarantee. We pride ourselves in delivering the highest quality and best deal in the city. Give 360 a call today at (925) 892-3880 to speak with our friendly staff about booking your next rental!